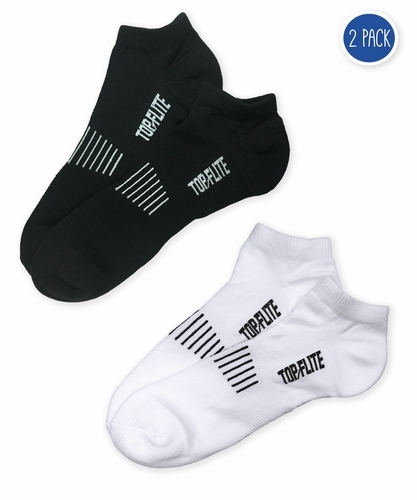 Top Flite sport low cut socks with moisture wicking performance fibers that are great for everyday wear or any sports. Features of this 2 pair pack include cushioned heel/toe, arch support, mesh for breath-ability and a non-binding top. Made in the USA!